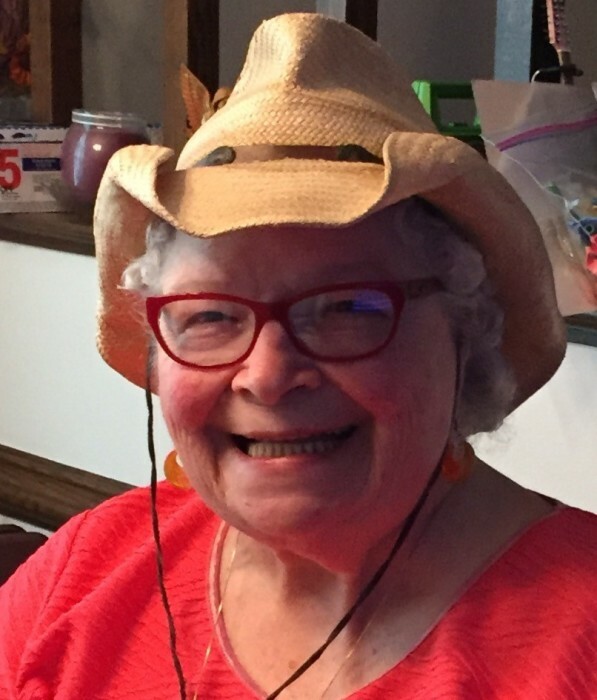 Edna Caroline Salassi died Sunday, January 27, 2019, in Slaughter, LA, She was 85, with a life well spent serving others. Some of her highlights include her ministry spent in saving unborn children, the Meals on Wheels program, being a mentor to the Boy Scouts Religious Emblem Program, serving as the President of the Knights of Columbus Ladies Auxiliary and Lady Commander in the Equestrian Order of the Holy Sepulchre of Jerusalem. She set up the altar for the priests and deacons, leading weekly Rosary services and serving as Eucharistic minister for the shut-ins at Oakwood. Her contagious smile and open personality brought joy to everyone she met, and she never took herself too seriously, and was not afraid to laugh at herself. She was preceded in death by her parents, Claude, Sr. and Cathleen Thompson; 2 brothers, Donald Thompson and Claude Thompson, Jr. and her loving husband of 55 years, Nolan R. Salassi. Survivors include her daughters, Claudia (Rich) Sandman of Katy, TX and Debbie Salassi and Sandy Lemoine both of Kenner, LA; her brother, Gene (Emily) Thompson of McComb, MS; her granddaughter, Brittany Sandman; her great-grandchildren, Jena Sandman and Brianna Sandman and Brianna Boyte and Faith Boyte. and numerous nieces and nephews. Funeral services will he held at noon, Saturday, February 2, 2019, in the chapel of Glenwood Funeral Home with Fr. P.J. Curley officiating. Interment will follow in the Cedar Hill Cemetery. Visitation will be 10:00 AM Saturday until the hour of the service. The family expresses a deep gratitude for the the loving care provided by Oakwood Village Assisted Living Facility in Zachary, LA and the Grace Health and Rehab in Slaughter, LA. Memorials are requested to the Activities Dept. of the Grace Health and Rehab; 1181 Hwy.19, Slaughter, LA 70777.